By pyrochild, September 10, 2007 in Plugins - Publishing ONLY! Certain combinations of angles give a less-than-desirable effect, including having no effect at all. I'm aware of the issue, but currently have no plans to fix it. Just try switching the values of the 2 angle controls. Aha! That's what it was! Thanks pyro! Well...*huge sigh*...I'll take it nonetheless. Thanks for the new plugin pyrochild. I have downloaded it and lookforward to trying it out. Smiles! Is this like the cross blur? Not quite. 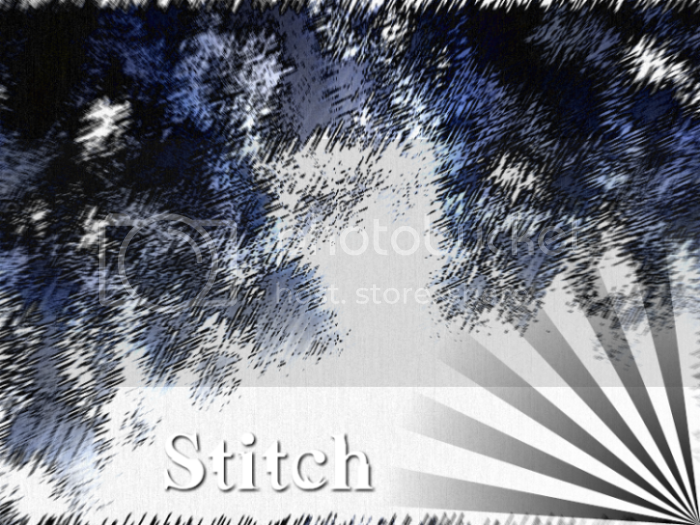 This is more like the jitter effect, except it makes it look like the image was stitched or embroidered. Wow. 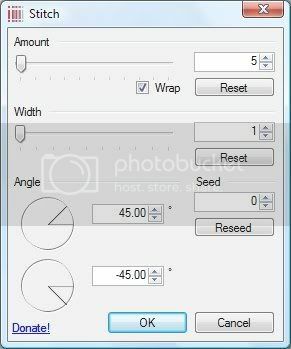 This will make creating a ton of texures I use a ton easier. Thanks again pyro! Is this something you can fix, or if not, perhaps the use of a check box to swap the two readings of the angles around? This will be great for pattern packs. Reminds me somewhat of chalk. May be useful, keep the good work up, pyro. the only thing i dont like about this is the big 'Donate!' button on the dialog box when you open it up... the effect is awesome though, great job! Stitch does not have a big Donate button... It doesn't have a Donate button at all... It's a link. And is exceedingly small. Yes it's free. You are welcome to make a donation for the plugin though. See the 'donate' button in first post above.